John is a mentor for coaches and executives. He is also a coach and teaches coaching and leadership skills. Mentoring work tends to be more on the teaching, example-sharing, story-telling side than pure coaching, which is more evocative inquiry. Coaching and mentoring together are conversation-based development processes. Both are effective because they are totally targeted to the client needs with no extraneous material. Coaching and mentoring are more about tapping imagination than dispensing good ideas; once that difference is learned, real progress can happen. 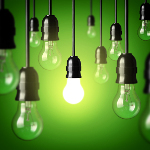 Both mentoring and coaching methods must be tailored to the coach, the client, the situation. And the principles, while universal, need to be used with nuances to create the appropriate context for the work. 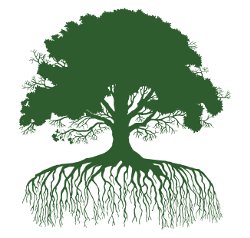 Our most recent creation, one that leverages the unique approach to leadership and human development that we have developed over several decades of practice and study, is called The Depth Coaching Institute. I currently am the coach-in-residence for the top business mentoring organization in the world, Merryck, specializing in CEO mentoring. This role includes mentoring clients, facilitating the establishment of the mentoring models for the firm and how they differ and overlap with consulting and coaching, and helping the mentors practice and improve the craft of mentoring. I so like this work as it has tremendous positive impact on businesses and the people in them, and it is a specialized learning community, a business and leadership wisdom community actually, with a heartfelt commitment to performance and how organizations can be at their best. 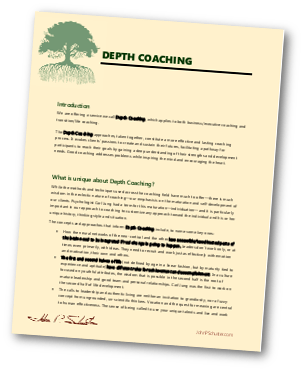 Learn more about Depth Coaching by downloading this PDF overview.